Trade shows and conferences are one of the best ways for sales reps to meet new prospects and connect with existing clients. Conversations that go down in person are more meaningful and have lasting results, especially since face to face interactions are becoming rarer in this digital age. However, sponsoring events can be costly, making them fewer and farther in between. So when your company does sponsor that premier event and sends you cross-country, you better make it worth their while and score some big deals. No pressure. How can you ensure that you’re making the most of the experience, every step of the way? The answer is video. Send an appealing invitation: a unique and unsolicited way to stand out to those prospects or clients, who are getting plagued by tons of other cold calls and templated emails. Inform without being boring: highlight all the details of where you’ll be, what you’ll be showcasing, etc. Promote any special plans, such as prize giveaways or after parties. Prepare prospects to meet you: attendees will recognise you at the show, taking out the initial awkward guessing game. Entice and engage with attendees on the floor: Show live demos, conduct interviews and capture the action, all on your smartphone and without leaving your booth. Record message with your new leads: By capturing your conversation on camera, you and your prospect will remember what you spoke about. Stand out from the rest: While attendees are getting bombarded with follow up emails, video breaks through the mass of boring, plain text emails. Revive the conversation: Sending your prospect the video that you recorded on the floor will refresh their mind of you and your conversation, keeping the post-show momentum going. 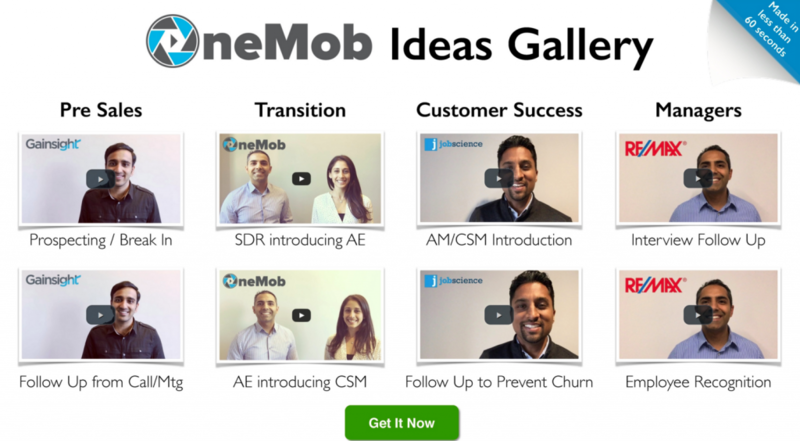 Want to know more about how OneMob can help you at events? Sign up now to try it for free. At OneMob we’re eagerly awaiting the arrival of Spring. It’s our favorite season, because flowers aren’t the only thing that bloom. It’s a peak time for new ideas, partnerships and opportunities to blossom during the year. Events are a great opportunity for this, where we love to share the power of video messaging with Customer Success and Sales professionals in person, across the countru. Which is why we’re excited to start the season with some exciting events this March. We’ll be at the Totango Customer Success Summit, right here in San Francisco on March 21 & 22. Soon after, we’ll be making the way to the Windy City for Salesforce World Tour Chicago on March 24. So if you’re in either city this March, and want to learn more about how video messaging can impact your outreach, visit us. Or, contact us at hello@onemob.com. Download Now- OneMob for Outlook is here! 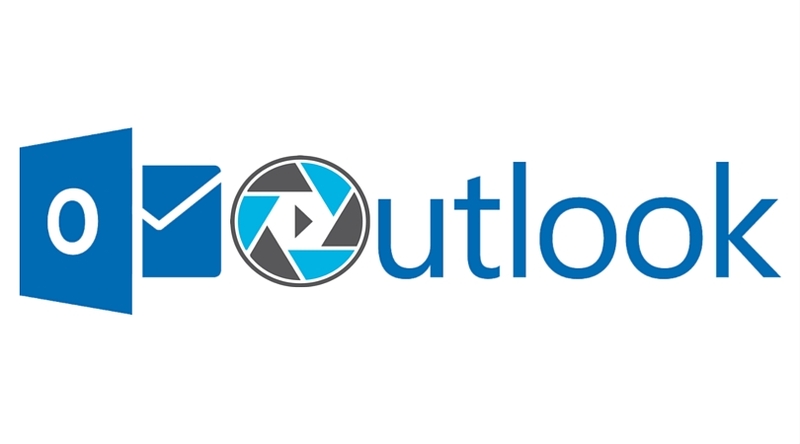 Outlook users, we have good news for you! OneMob for Microsoft Outlook 365 and Outlook Client 2013 and 2016 is available now. 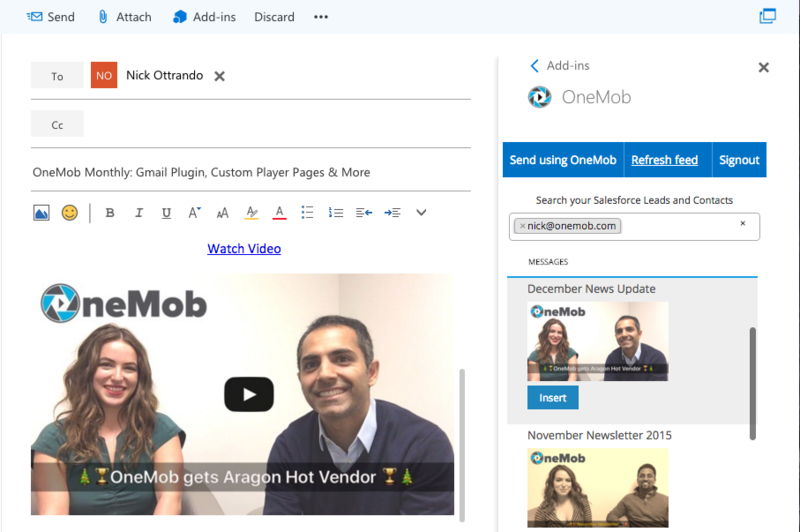 With the OneMob for Outlook app, you can access all your saved video and voice messages right inside Outlook and easily embed them in your email messages. 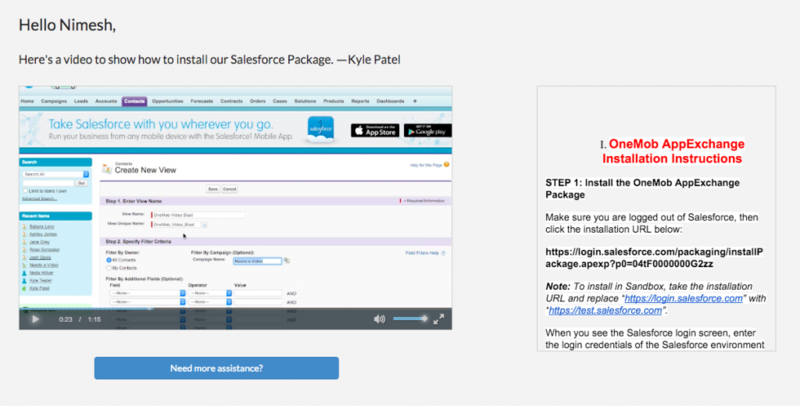 For real-time tracking, select which Salesforce Lead(s) and Contact(s) you want to email and you’ll get real-time notifications when your video is played and responded to. The best part? 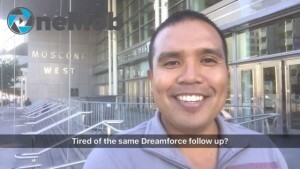 It’s all automatically tracked back in Salesforce. To download OneMob for Outlook, visit the Office Store. If you need more help with installation, visit our support page. Happy video messaging! What’s the fastest way to boost revenue and grow your business? The trick is to tap into a powerful resource that you already own- your sales force. But when your employees are disengaged in the workplace, as 32% of U.S. employees are, their full potential goes untapped. And as any manager knows, when their team lags drive, performance suffers. But in today’s data-rich, highly mobile and tech-savvy workplace, B2B representatives need unconventional and challenging training programs to motivate them, now more than ever. 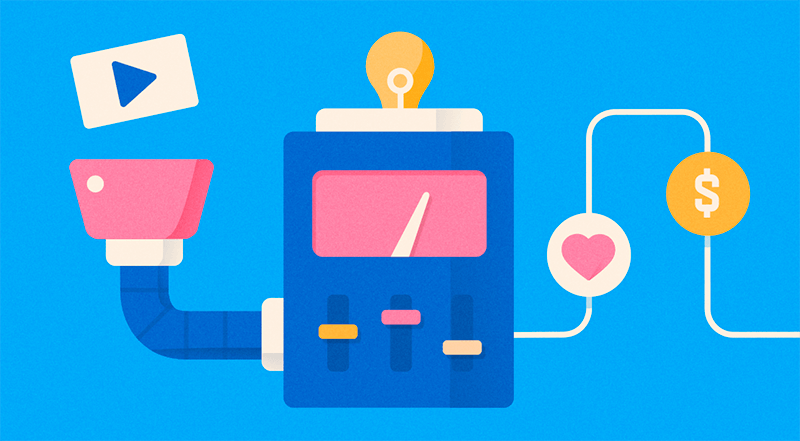 As a team leader, it’s your job to keep your employees engaged. Maybe numbers are dipping or you need a way motivate CRM adoption, which is crucial in driving pipeline visibility and predictability. You’ve surely heard of or tried gamification, a concept which has gotten a lot of buzz lately. When reps get excited about competitions that align with their goals, that reward the right behavior and that set challenging but realistic benchmarks, gamification works wonders (inside sales), engagement and performance improves. By incorporating technology, leaderboards and metrics into their competitions, Sales leaders are finding success in reinvigorating their reps. A little friendly office rivalry in the already competitive sales pit helps take motivation up a few notches. While we’ve shown you how video is helpful in onboarding and educating employees, it can be a real game changer when it comes to gamification. 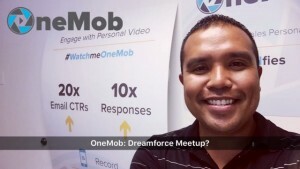 We’ll show you not only how OneMob engages reps through video, but measures their performance as well- giving reps and managers alike actionable insights. 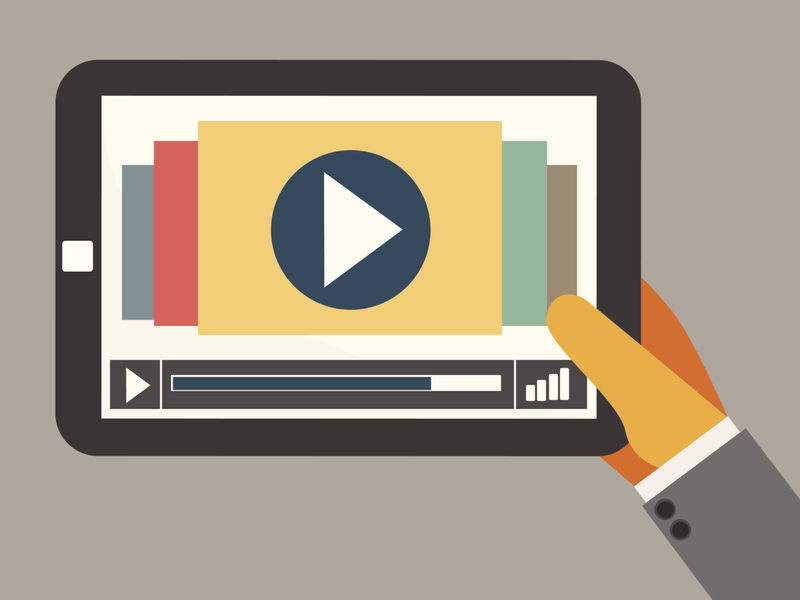 Creating different video player page layouts lets reps figure out what — works best for them. Testing out different combinations of content types, external buttons, and CTA messaging let’s reps experiment to find what approach works best, and in what situation. Experimenting with different email subject lines and video thumbnail images helps reps determine what gives them that extra advantage. By asking reps to send their best pitches, managers can instantly provide direct feedback with a response or a follow up example. Or, reps can send to their prospects, and A/B test their different video/layout combinations to see what resonated best. Managers can see how their reps are performing based on the metrics that matter most to them. Number of email opens, watches, button clicks and responses are all automatically written back into the rep’s individual Salesforce accounts, and tied to existing Opportunities. Over a longer period of time, managers can easily determine which accounts got (the most videos/ highest video watches) per rep, or who closed the most deals with video. To be successful, contests must not only be motivational and moral boosting, but efficient and effective as well. Whatever your approach, make sure that it addresses key business objectives, is data-driven and can be managed in real-time within your CRM. With the OneMob platform, you can be sure all three of these requirements are met. To help your reps to embrace their full potential through video, contact us to get started. Last year, we gave you all our best practices for creating and using video, which became an essential part of digital marketing in 2015. But we know that 2016 isn’t the year to start using video in your outreach- it’s the year to start engaging with and measuring its impact. Whether they be personal recordings or high quality productions doesn’t matter, since video is already the most engaging form of content. What matters is how your viewers interact with your videos, beyond just a watch. 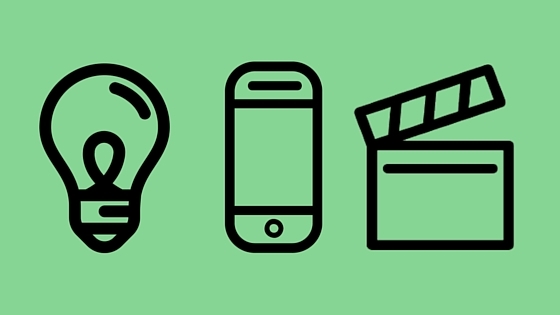 In the past, we’ve looked to views and watches to determine a video’s success. However, number of views is becoming more of an irrelevant metric, since watches don’t truly help you gauge the level of a viewer’s interest. What you need to know is if your videos are generating responses. Does your audience follow your call to action, register for your event or download a piece of content, and more importantly, have you given them the means to easily do so? That’s why we’ve created Engagement Pages, or customizable landing pages to host not your videos, but your other digital content. 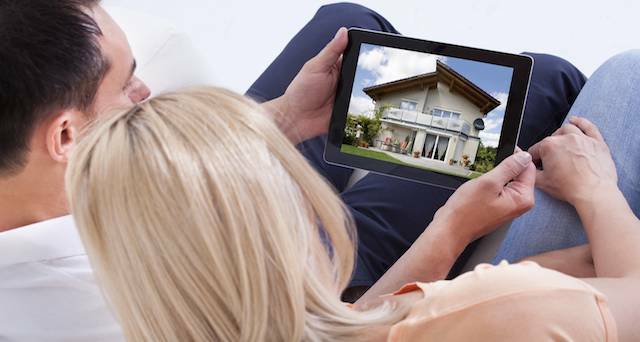 By combining multiple digital components onto one page, you not only create a viewing experience unique to you/your brand, but an interactive one as well that furthers interest and inspires action. So here are 3 parts of the OneMob player page that will help turn your watches into meaningful responses. Click the page to hear how OneMob Customer Success Lead, Kyle, begins account activation. 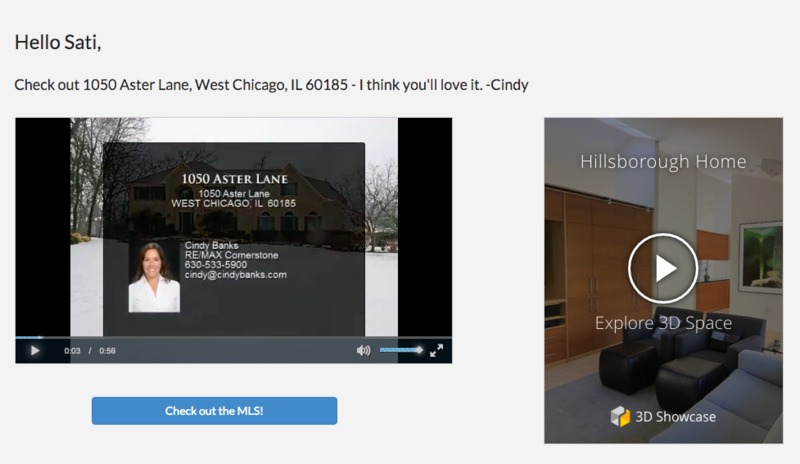 See how this agent provides a 3D home tour to go with her own listing video. Here’s an support video that provides instructions and a link to live assistance. We know that video should inspire and attract viewers to go beyond a watch. That’s why we’ve built all these features to inspire not only more views, but more actions. And to help you measure the results of your efforts, OneMob brings you the analytics to prove it, with not only the number of watches, but the viewer information, shares, clicks, replies, etc. By giving you both more opportunities to engage and greater insights, OneMob shows you how your digital content is performing and making your profitable. 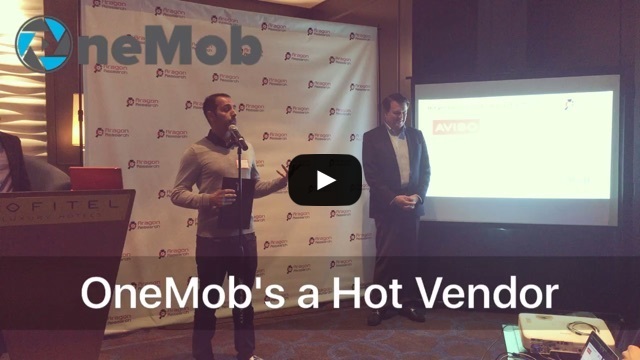 You know how OneMob helps you engage with prospects and keep up with customers. But did you know how video can enhance your everyday email communication, social media presence and more? Check out our tips below to easily make video a part of your everyday. Give your text-based emails a much needed facelift. Signature line: Whether you include your own message or your company’s latest marketing video, a video thumbnail image below your name drives more engagement. Adding a new person to a thread: Eliminate any confusion by introducing new characters to the conversation. Become the ultimate social seller. Twitter: Whether it’s one to one or one to many, express yourself beyond 140 characters. LinkedIn profile: Let your connections meet the real you with an intro to yourself and projects you’ve accomplished. 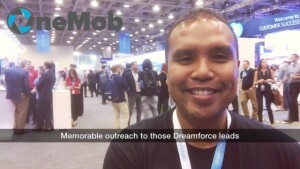 LinkedIn InMail: Not a contact in SFDC? No problem. Link a video in your message to make a warm introduction. Facebook and Blog: Have your own blog or page? 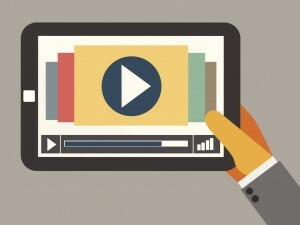 Stand out as your own thought leader by creating your own video and viewing experience. When you realize how easy and fun it is, you’ll be looking for excuses to use it. Invitations: Drive registration with personal invitations to your next summit or show. On the floor: Capture the moment at trade shows and events. Hiring: Connect with potential candidates. Training: Reps can practice their sales pitch or customer request responses for managers to assess progress and provide training. Marketing: This one’s a no brainer. Adding visual content to your campaigns increases opens, engagement and conversions. For more examples of how you can use video, check out our Ideas Gallery below. Or, contact us to start using video with OneMob today.